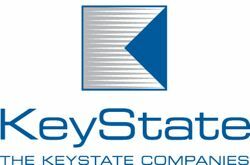 KeyState Captive Management (KeyState) is the country’s largest provider of captive management and investment portfolio services to community banks. KeyState offers banks with over $1 billion in assets the opportunity to form a wholly-owned captive insurance company through its Bank Captive Program. A captive insurance company, or a legally licensed limited purpose property and casualty insurance company, can augment a bank’s commercial policies by covering the existing commercial deductible layers, increasing coverage levels on existing policies (excess layers), and identifying other currently unfunded risks to insure where commercial insurance is not available to the bank. Take advantage of a small business incentive available under a section of the Tax Code. What makes KeyState’s Bank Captive Program different from its competitors? The primary differentiator is KeyState’s deep knowledge and specific expertise working with banks and their regulators in evaluating structures and responding to regulator inquiries. KeyState’s team offers a turnkey product and assists the bank every step along the way.